The year 2014 has been a huge year for recalls across the board by various major car companies. The latest comes from Chrysler, which has announced recalls for 382,000 Ram HD Diesel trucks and 184,000 SUVs. 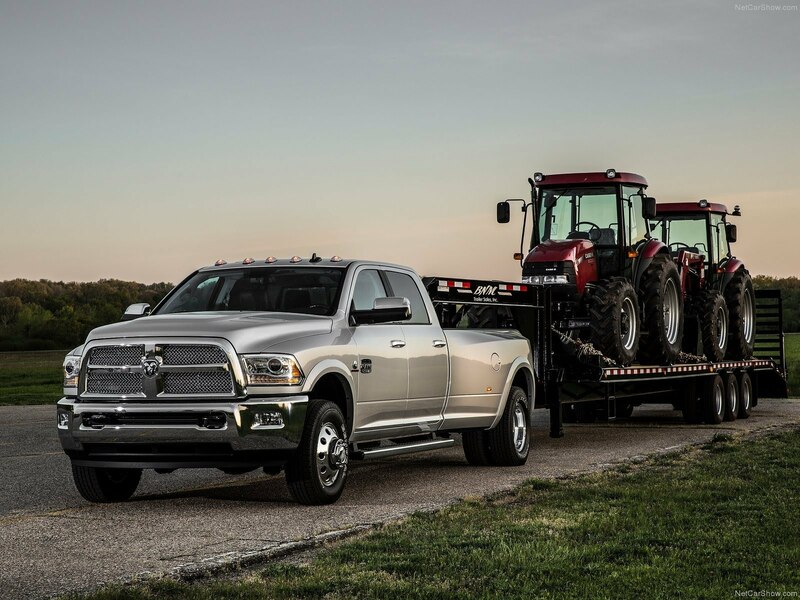 The first recall encompasses the 6.7-liter Cummins diesel engine available in the 2010-2014 Ram HD trucks, including 2500 and 3500 series pickups as well as 4500 and 5500 series chassis cabs. “A terminal connector near the fuel heater may be subject to friction-induced corrosion,” which could result in overheating and fuel leakage in the affected units according to Chrysler. On the SUV recall side, the 2014 Dodge Durango and Jeep Grand Cherokee are in question because Chrysler discovered that a debris cover can disrupt the circuit board’s functioning and disable the vehicle’s stability control system. October 29, 2014 , Auburn Hills, Mich. – Chrysler Group is voluntarily recalling an estimated 381,876 trucks globally, to upgrade certain wiring-harness terminals and replace – if necessary – their fuel-heater housings. Restricted to vehicles equipped with 6.7-liter Cummins diesel engines, the campaign follows an investigation of two cases in which fuel-heater housings showed signs of overheating. Chrysler Group is unaware of any incidents involving fire. Chrysler Group engineers discovered a terminal connector near the fuel heater may be subject to friction-induced corrosion. This condition may lead to overheating and potential fuel leakage. Service technicians will install new terminals made from upgraded material. Fuel-heater housings will be inspected and, if they show signs of leakage, they will be replaced. This work will be performed at no cost to customers. Affected are certain model-year 2010-2014 Ram 2500 and 3500 pickups, and 4500 and 5500 chassis cabs. An estimated 314,704 are in the U.S.; 59,432 are in Canada; 1,803 are in Mexico and 5,937 are outside the NAFTA region. Owners of these vehicles will be notified by Chrysler Group and advised when they may schedule service. Customers with questions may call Chrysler Group’s Customer Information Center at 1-800-853-1403. October 29, 2014 , Auburn Hills, Mich. – Chrysler Group is voluntarily recalling an estimated 184,186 SUVs globally, to upgrade software that helps manage Electronic Stability Control (ESC). Following an investigation prompted by field data, Chrysler Group engineers discovered a debris cover protecting a certain circuit board may inadvertently disrupt a communication line and disable ESC. The software upgrade restores proper communication and preserves ESC function. Affected customers will be notified next month and advised when they may schedule service, the cost of which will be borne by Chrysler Group. The campaign covers certain model-year 2014 Dodge Durango and Jeep Grand Cherokee SUVs. An estimated 132,223 are in the U.S.; 8,871 are in Canada; 4,742 are in Mexico and 38,350 are outside the NAFTA region. Customers with questions may call Chrysler Group’s Customer Information Center at 1-800-853-1403. Chevelle With Duramax Diesel Engine Goes a Quarter Mile In 10 Seconds At 135.8 MPH!